Welcome tile – Personalized – shown with frame. 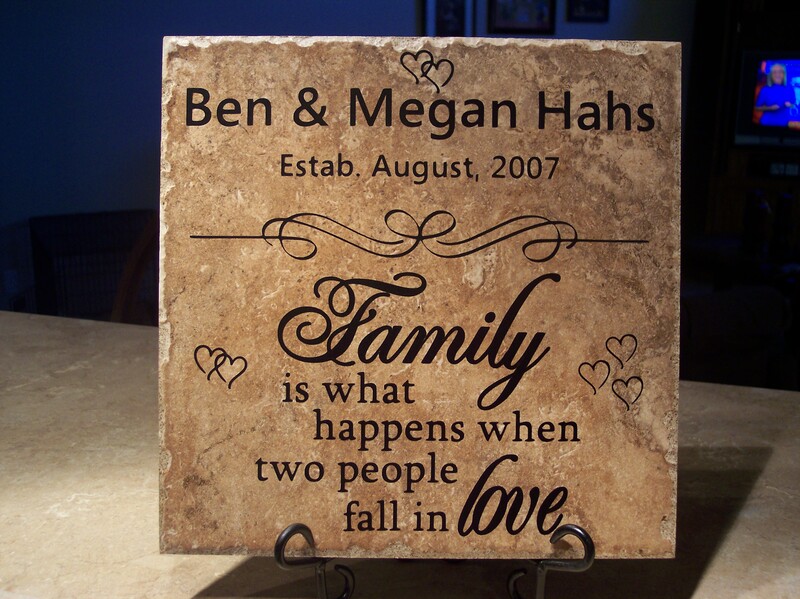 Welcome tile – Personalized with names and wedding date – $28. (Date is optional.) 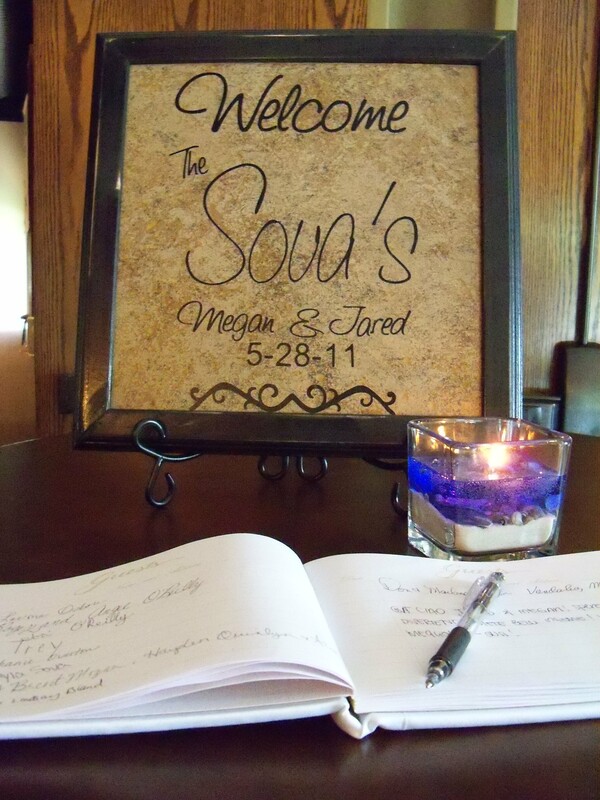 The Sova’s used this tile at their wedding reception! This day I will marry my friend, the one I laugh with, live for, dream with, love. PERSONALIZED. ASK FOR VERSION #2. 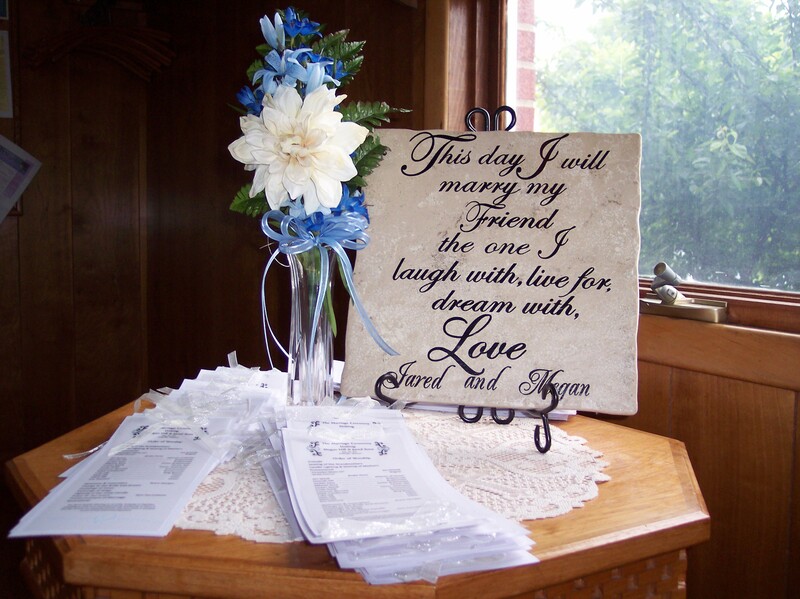 12″ Personalized wedding tile – $28. NOTE: Be sure to ask for Version No. 2. 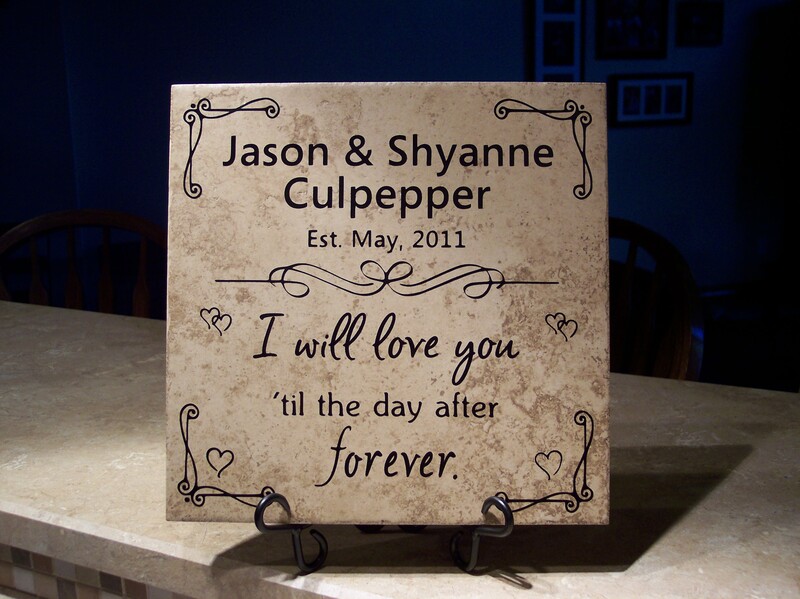 12″ Personalized Tile – $28. 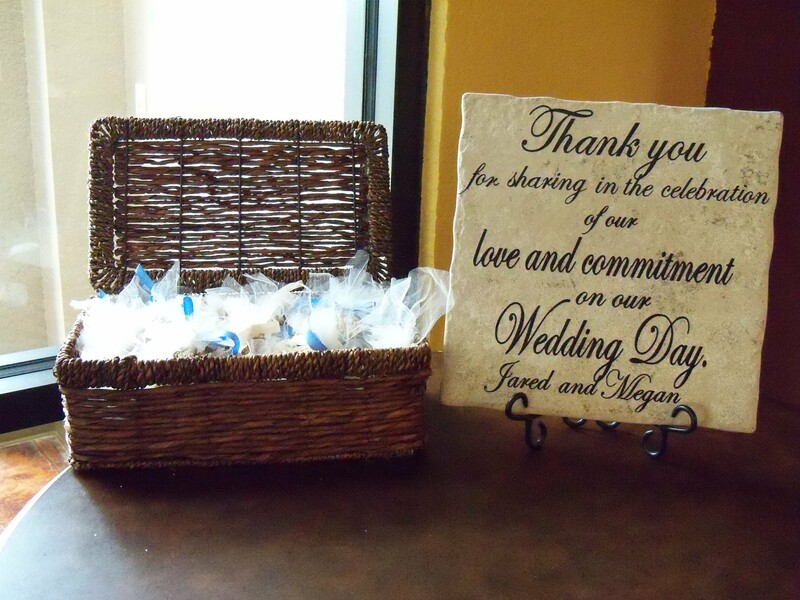 12″ Personalized Wedding Thank You Tile – $28. 6″ Personalized tile – $19. 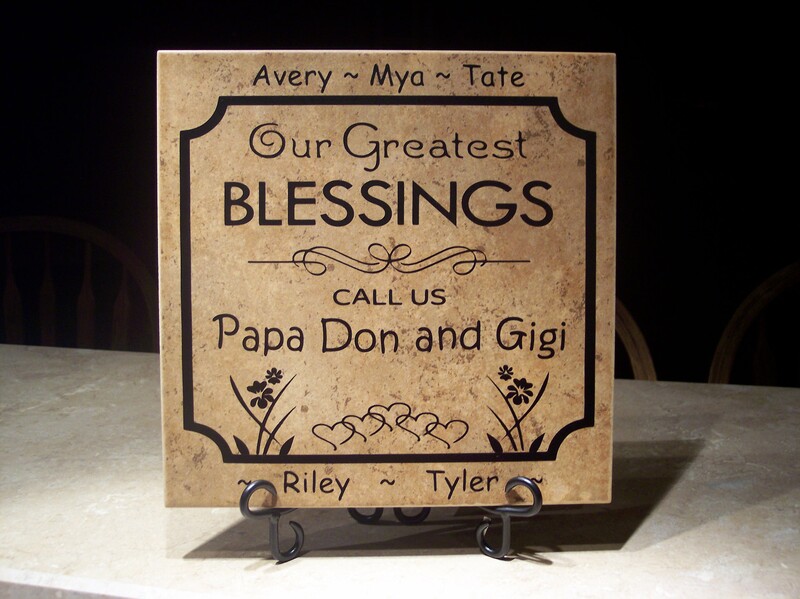 Grandparents Tile – Personalized with each grandchild’s name! 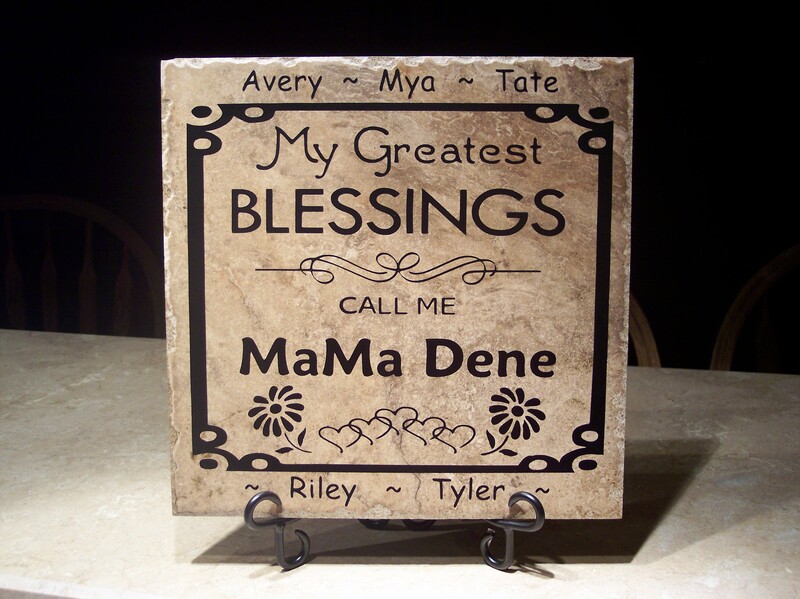 12″ Personalized Tile – $28 for adding up to 6 grandchildren; $33 for 7 or more grandchildren’s names. Can fit up to 3 names on EACH side of the tile for a total of 12 names. If some names are shorter, we may be able to do more than 12 names. This order requested the flowers on each side. You can leave them off, or we may be able to add something else to make the tile more personal for your family member. Just contact us with your requests and ideas! 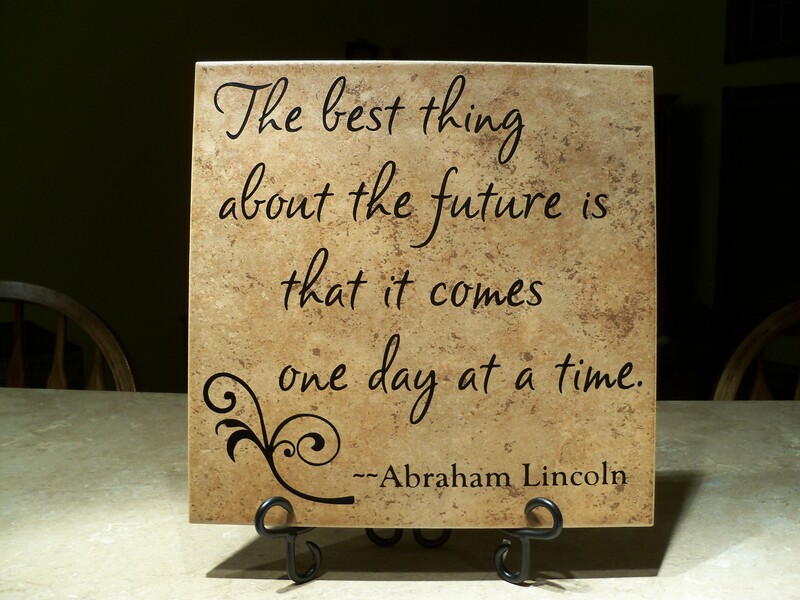 We’ll do our best to make a special tile for your loved one. 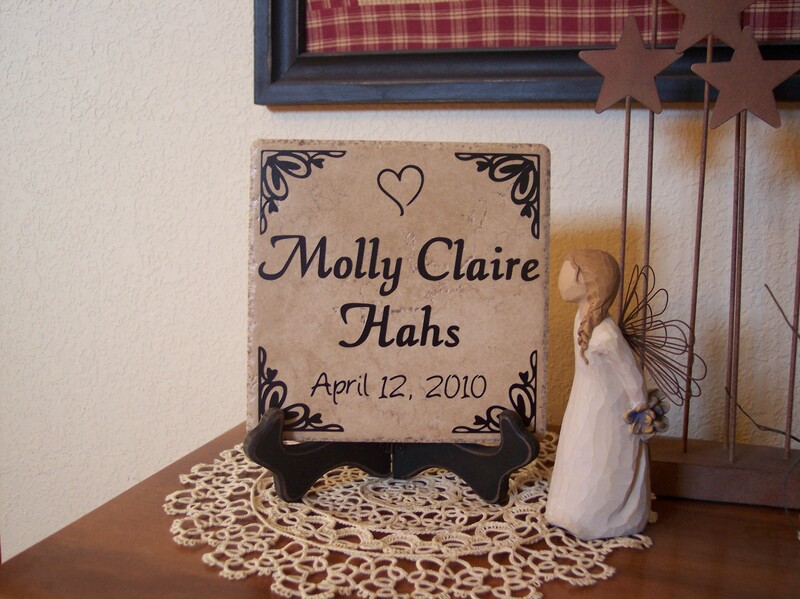 12″ personalized tile – $28 for adding up to 6 grandchildren; $33 for 7 or more grandchildren’s names. You can put up to 12 names around the outside edge, and possibly more if the names are short. Just contact us, and we’ll let you know if it will work. This customer requested the flowers at the bottom. They were not on the original design. You can opt to use them, leave them off, or we may be able to add a different item to personalize the tile to fit your family even better. WE DO NOT HAVE A SHOPPING CART OPTION ON OUR WEBSITE. We are located in Unionville, Missouri. * FRAMES cannot be shipped in Priority Mail flat rate boxes. We will probably ship those through UPS. Please contact us for a shipping quote.